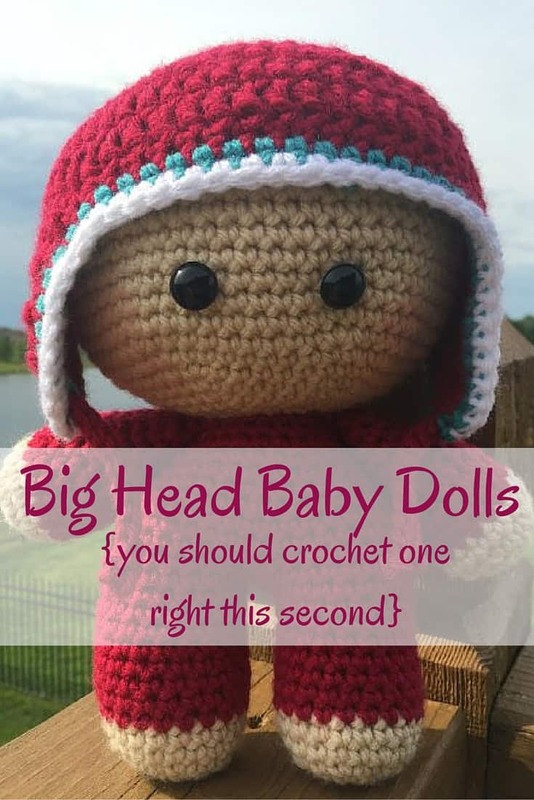 Have you noticed the trend in Big Head Baby Dolls in the online crochet community lately? I must admit, they are super cute and actually pretty functional. No, I’m not going to carry around a crocheted doll with me everywhere. Cause that’s just not handy. If you work a lot of craft fairs, or if you sell on Etsy or post patterns on Ravelry, however (and you don’t have a baby yourself) these heads are the perfect size to model those adorable hats! What’s up with the Big Head Baby Dolls (BHBD)? The pattern was originally written in Russian, then translated into English (by someone other than the original author). Then it was posted on Ravelry, and then Ravelry took it down because it was not an “original pattern”. That’s the way I understand it anyway. 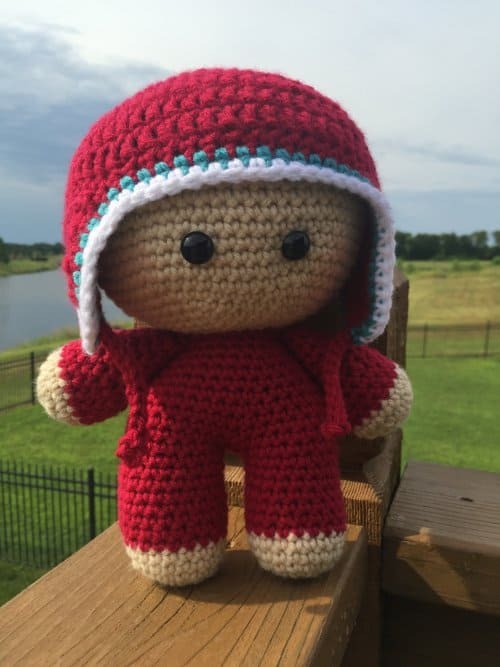 I won’t copy the pattern (cause that’s just not cool) and while the original pattern is no longer available, there is a similar doll if you search on Ravelry. I noticed in the comments that they're getting the WeeBee pattern when they go to the link. Laura Tegg's free WeeBee pattern found on ravelry.com is very easy & addictive! 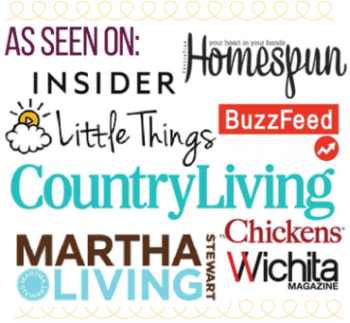 I've already made & sold many of the WeeBees. She has other free doll patterns as well as the clothes for the dolls. Stuck for inspiration? There's a WeeBee Appreciation page on fb dedicated to Laura's dolls. They're very versatile! I've made pig's, TMNT as well as tv show characters! If you're looking for a bhb give her a go! You won't regret it! Can I have this pattern as well? dollypowell5946@gmail.com. Thank you. Hi, can you share the big Head Baby doll Pattern? The Weebee doll opens instead and I would love to make the Big Head Baby Doll for my grandbaby. Thank you! The link doesn't work . Ashlea, i cannot get it to open for me can u email it to me? Weird! Are you on your phone perhaps? Yes it is kind of a doozy but a fun pattern for sure! It only downloads in Russian and I only speak english so this adorable doll won't be amusing any of the youngsters I want to make it for. send me your e-mail and I will e-mail you the pattern I copied with a picture. Cannot get the pattern the link does not work for me. Simply adorable. As soon as I found this link I popped overe there and made the little cutie. Owl hat and all. I wish I could post her pic here. Ind I would love relearn how to do the arms without having to swe them on ifayone had a link to the instructions. The linked worked for me and I have saved it! Thanks! Great! Have the pattern. What wool/crochet cotton number/ply do you use to make the doll? I used a worsted weight (size 4) yarn. Hope that helps! What size of eyes are used. I have been trying to figure that out.Thank you! I would like to know how to attach the arms neatly, can anyone help? Join "Nutshell Lane" group, although BHBD pattern is no longer available on their site, most of their free pattern work for the BHBD. There is a way to crochet the arms on so you do not have to sew them. Hope this helps! Thank you! I've been looking for this pattern! Thank you! The link worked for me!! Awesome! You'll love it, they work up so fast! Thank you !!! One question..where do I find patterns for the super cute hats ? Would a preemie size fit the doll ? thanks !! Sure thing! I don't think a preemie hat would fit, I usually go with the 6 month hat sizes. Any pattern should work. Have fun with it! It's actually more for newborn hats, they fit better. 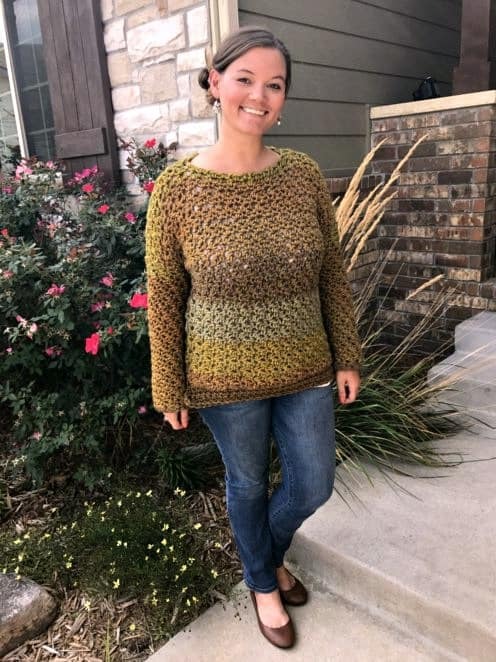 I was unable to use the link for the pattern. Do you still have the pattern? Hmm it still opens for me, with a green box for download off to the right. Since I am linking to another page I can't control if they remove it, but for now I am still able to get to it. If you save the pattern and add it to your library, then you should be able to download it.